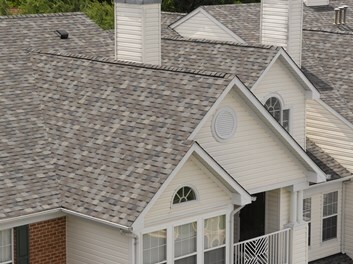 CertainTeed’s tried-and-true architectural laminate roofing shingle, Landmark is designed to replicate the appearance of cedar shake roofing, and is available in an array of colors that compliment any trim, stucco or siding. CertainTeed Ridge Vents combined with CertainTeed Intake Vent, are the most efficient and effective systems you can install. 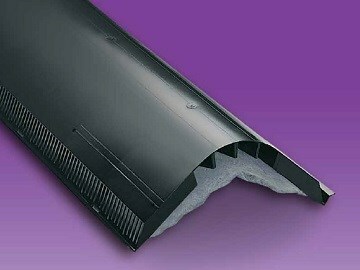 The low-profile look of CertainTeed RidgeVent creates a clean, uncluttered roof line. 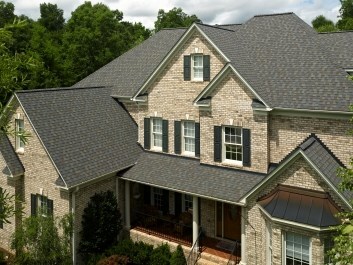 CertainTeed's Patriot is the industry's first ‘architectural-style strip’, Patriot is a single-layered asphaltic shingle that uses CertainTeed’s advanced color technology to mimic the depth of multi-layered architectural shingles. You don't have to go white to go green. Using cool roofing technology has been recognized as one of the easiest, most cost-effective ways of lowering energy consumption. But until now, going green meant going white. While white is naturally reflective, Landmark Solaris' innovative technology puts color where white used to be and produces a shingle that reflects solar energy.